Summer is gone and with a new season comes lots of new makeup products to use and experiment with. It doesn’t matter how much you spend on a formula or a product innovation. If you don’t have the proper tools with which to apply them, then you are wasting your time and your cash. 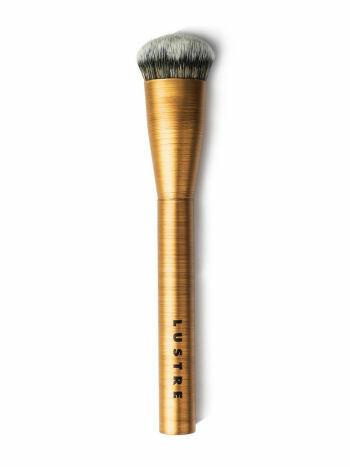 Lustre Makeup Brushes are exactly the refresh your makeup tool wardrobe needs. They are affordable, ranging from $10 to $15. They are also incredibly gorgeous, with copper handles and ombre, black bristles with white fade tips. The tightly-packed hairs deposit powder shadow perfectly on the lid and then you can buff, buff, buff, and blend for smoky perfection. Those handles, though! They feel heavy and sturdy in your hands. But they are easy to grip with firmness. That grippability allows for more precise application. They look mighty purdy in your brush cup, too! Make sure to store them in a clear, see-through container since they can be decorative, as well. You can’t help but love tools that look good but perform even better.